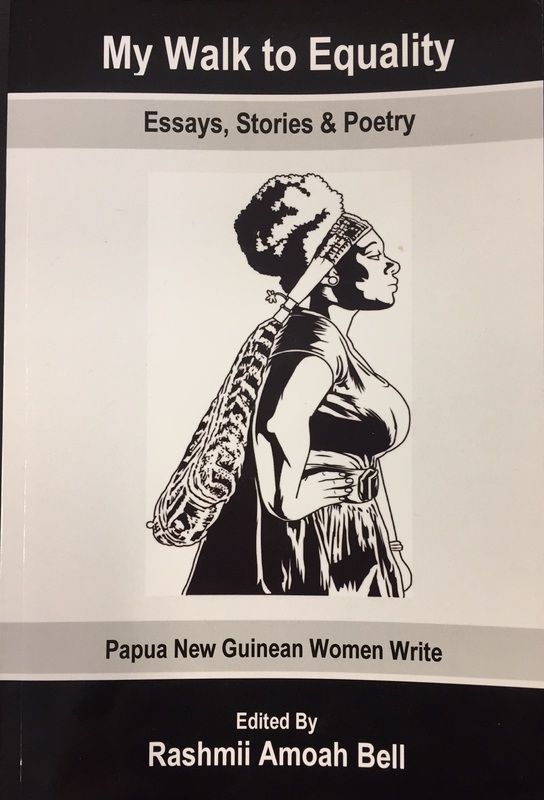 Papua New Guinean writer, Rashmii Bell, edited the first-ever anthology of writing by Papua New Guinean women, My Walk to Equality. Launched in Port Moresby (PNG) and Brisbane during the week of celebrations for International Women’s Day 2017, this volume captures the daily challenges faced and positive contributions being made by the women of PNG to improve the livelihoods of self, community and nation. Currently based in Brisbane, Rashmii writes essays and opinion commentary to convey her views on issues including anti-social and criminal behaviour, mental health, donor aid programs and gender equality. Several of Rashmii’s essays have been published in Pukpuk Publications' annual paperback anthologies, Crocodile Prize 2015 and Crocodile Prize 2016. Library For All Australia works with authors and illustrators from around the world to create our responsive, relevant and diverse library. We will be working with Rashmii Bell to develop projects with the PNG diaspora. Rashmii took some time out from her busy schedule to answer a few questions about her life and work. Q: You are well known to some of our readers as a strong voice for PNG writers, and particularly women writers, through your essays, creative writing and social commentary. Tell us about the personal and professional journey that led you to your current work. 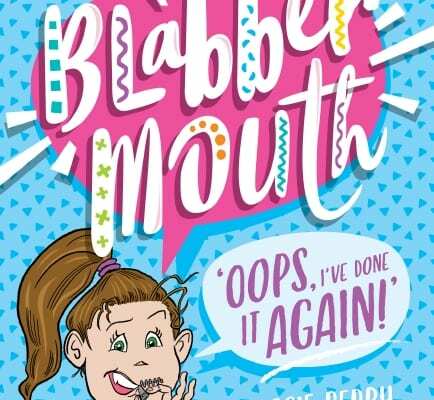 A: Well, I’m in this position thanks to my terrific family of readers and writers via prominent Australia-PNG focused online blog, PNG Atttitude. The site’s editor and publisher, Keith Jackson AM, is a key mentor, main publisher of my writing and a champion of creating and networking countless opportunities for me. Along with Philip Fitzpatrick (ex-kiap, author and director of Pukpuk Publications), both gentleman have worked selflessly throughout the past 12 years, founding the Crocodile Prize Awards (PNG’s annual national literary competition), developing, publishing and promoting PNG writers and PNG-authored literature throughout PNG, Australia and elsewhere. Both have been the key influences in how I have progressed in using writing as activism against social injustices throughout PNG. Q: Your anthology, My Walk to Equality, is the first published collection of writing by PNG women. What are the significant barriers to PNG women in terms of expressing themselves creatively or having a public voice? A: ‘Confidence’ stands out as a key challenge. Of course, everyone struggles with it, some more than others. For the Papua New Guinean women today, I think a lot of time is invested in balancing cultural expectations and digging deep to find the courage to challenge our society’s norms. By the end of it, there is little energy left for self-expression or becoming involved in public discussions. That’s not our fault but more so a reflection on our society. So, I think it comes back to society looking at those overriding norms and expectations in place, then saying ‘what needs to change and how can we change it?’ Most importantly, it’s about following through - working alongside each other to get there. My experience with confidence with publishing my writing and being vocal in public spaces is: the more you’re able to practice something, the more capable and motivated you feel to continue. Being surrounded by, and engaging in, mutually respectful and constructive relationships that help develop my confidence is a key priority for me. Q: Aside from equity in publishing, what other PNG socio-economic concerns are you passionate about? A: Promoting mental health and dismantling associated stigma is something I feel strongly about. From personal experience, ante and post-natal mental health care (for women and men) in PNG is an area that is in dire need of attention. I was recently commissioned (technical content writing) to look at mental health service delivery in PNG. I was quite saddened by the historical trend of low national investment in mental health that has contributed to the current state. Especially when you consider the recent natural disasters that have taken place throughout the country, and the full spectrum of associated trauma, especially the implications for mental health experienced by the people. Of course that concern is tied to my professional background and so, other issues that extend into policy and programs around Corrections (prison) reform, youth justice and women’s rights (especially gender equality) advocacy are the focus of my writing. Q: LFA has a mission to improve literacy in PNG by making culturally relevant books for children widely available. What do you see as the main challenges to literacy and/or education for young people in PNG? A: Limited availability (or an absence) of government-funded community libraries throughout PNG seems to be a key obstacle. If you don’t have the institution of community-access libraries, you don’t have a base on which to build a national literary culture, inquisitive readers and writers. This of course translates to the breadth of information being absorbed, knowledge demonstrated and so forth. Last year, I was privileged to spend time in two rural schools in Tufi and Kokoda regions (Oro Province). There I saw first-hand that, despite the very limited resources, PNG primary school students have an overwhelming interest in reading and books- especially those authored by Papua New Guineans. It was interesting speaking to the older students, many of whom had a keen interest in reading world history. With the absence of history book resources, many were relying on their mobiles to access online articles. Q: And when it comes to your own career, what are your goals for the next 12 months? What exciting projects are you working on? A: The bulk of what I’ve done to this point has been voluntary. The My Walk to Equality project (which includes the ‘PNG Attitude’ blog community of readers and writers) had a fantastic pilot-year phase in 2017. The anthology’s reach and reception (globally) has been overwhelming, so we’re thrilled. Now in our second phase, we’re looking to stage a literary event in PNG later this year. On International Women’s Day 2018, I was awarded the My Walk to Equality Writer Fellowship 2018 by Paga Hill Development Company – long time and staunch supporters of PNG writers and PNG-authored literature. This six-month fellowship is focused on increasing my exposure and skills development in planning, curation and staging a literary event. This will be done through participating in a series of Australian-based literary activities. We hope there will be terrific support from the national government, private and state corporations and private donors who will come on board to help stage this event to encourage and inspire the continued growth of a national contemporary literary culture for PNG. I’d like 2018 to be a year where I have more engagement with primary and high schools throughout PNG so am excited to take on opportunities to do that. Concentrating on refining my long-form technique and making a start on writing a short play are on my to-do list. I’m also on the editing team for the national book project ‘8 Million Possibilities’, an initiative of Mr John Kamasua and PNG Career Development Inc.
You can follow Rashmii’s writing and information about the My Walk to Equality Project via her online home of writing ‘PNG Attitude’ blog and via Twitter @amoahfive_oh.